From tenting to big rigs we have the site for you. Full hookups with 20/30/50 amp service, water & electric; tenting with water & electric service. Shaded sites, on the water, or pull-through, pet friendly, 2 playgrounds, game room, 2 laundries, 4 bath houses, volleyball, etc. 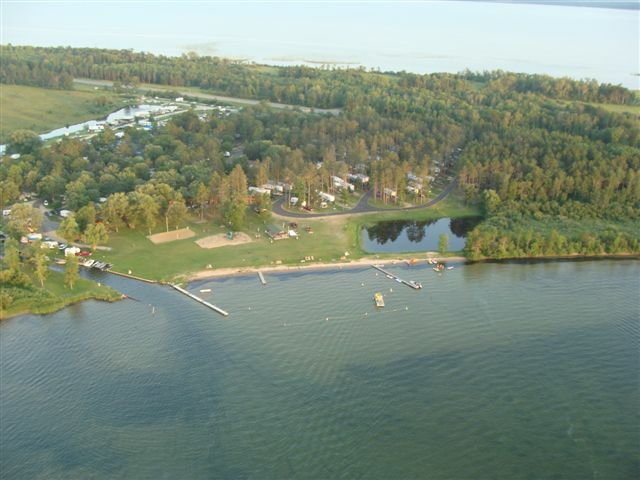 Sandy beach, water toys, restaurant & bar, gift shop, boat & pontoon rental, 11 cabins, sheltered harboring. Dates Open: Open May 1-Oct. 15; call if you want to camp outside these dates.